As a product brand owner partner, can I use multiple certification bodies (CBs) to certify different models within the same product category? At which voltage should I test products for verification testing? Can a certification body (CB) accept test data from a laboratory that is participating in another CB's witnessed or supervised manufacturer's testing laboratory (W/SMTL) program? Can a certification body (CB) enroll a laboratory in its witnessed or supervised manufacturer's testing laboratory (W/SMTL) program on the basis of supervision or auditing that another CB has performed of that laboratory? 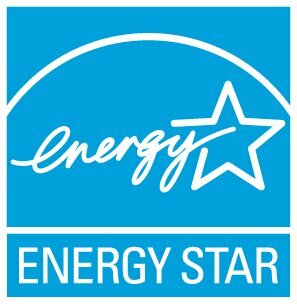 Can I use the same organization to both conduct testing and certify my product as ENERGY STAR qualified? Can laboratories receive EPA recognition to test products under the Luminaires specification as well as recognition to test luminaire subcomponents? If so, can laboratories use the same application, or would separate applications be needed? Do partners need to provide updates to products if they still meet the ENERGY STAR requirements? Do set-top boxes (STBs) certified to ENERGY STAR Version 3 specification need to be retested for purposes of certification to Version 4.1 specification? Do the ENERGY STAR verification testing requirements apply to models that are no longer certified as ENERGY STAR? Does EPA have data reporting requirements for laboratories testing products for purposes of ENERGY STAR qualification or verification testing? For ENERGY STAR certified residential dishwashers, what test procedure should be used for purposes of verifying performance of products certified to Version 5 prior to May 30, 2013, when the DOE test procedure changed? For verification testing of decorative light strings, how many samples/strings should be procured and tested? How does EPA recognition of accreditation bodies (ABs), laboratories, or certification bodies (CBs) work? How is network proxy capability verified for ENERGY STAR certification? How long will it take the certification body (CB) to review a test report? How many of my products will be subject to ongoing verification testing, and how often will this occur?